Free Mobile Service! Let Us Come To You. As an experienced St. Louis auto glass repair company, our expert team at	Consumer Glass knows that you cannot predict when the glass in your car is going to break. If a rock breaks a window in your home or on your commercial property,	you may not have the time to sit around and wait for a lengthy repair. This is why we offer rapid repair services to a large service area, so	our technicians can come out to your location and help you as quickly	as possible. If you are unsure if we can come to your home or commercial building, please	don’t hesitate to ask. Our service area covers a lot of ground to	help customers all over town. Call us today at (636) 397-6800 to discuss your needs and to find out if we can	offer you repair services in your area! 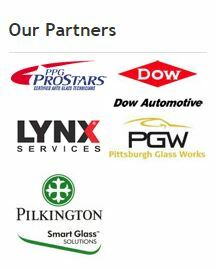 Whether you need glass replaced in your car, home or business, we can help! Find out what our satisfied customers are saying about our work! Fill out our online form today to schedule your free quote to get started! Located at 3416 E Terra OFallon, MO 63366.